With the sticky side up, press the outside edges of the ball together to seal. Working from the opposite side, fold the dough over itself 3 or 4 times to form a tight log. Slide the baking sheets into 2 very large plastic bags. Fill with air and tie. Proof for 1 hour. Press down on the dough with your palm and rotate the oval so the long side faces you. Tie the rope into a loose knot with 2 long tails. Transfer to a baking sheet; repeat. Using both hands and working from the center of the log to the ends, roll into a 12-inch rope. 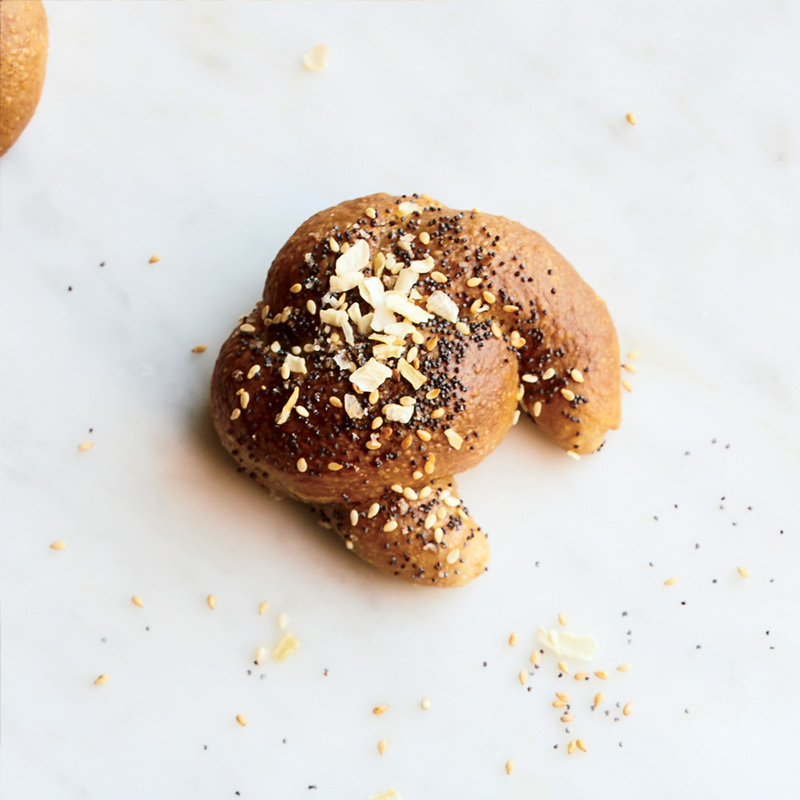 This version is sprinkled with a seeded, everything bagel-inspired topping before baking. Add Parmesan and pepper for cacio e pepe knots. 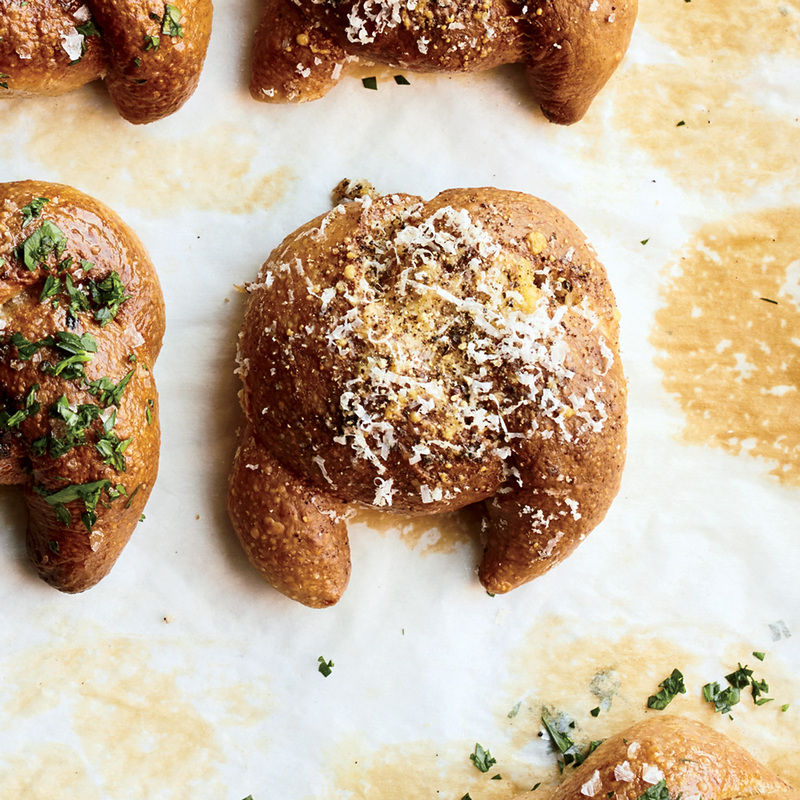 Inspired by the classic Roman pasta, Novick-Finder gives these garlic knots a shower of Parmesan and cracked black pepper before and after baking.